When you click that link it will send you the page which looks like the image below. If you have a Google/Gmail account you can log in here. If you are new to Google, you can follow our instructions on how to create a new account. This is the landing page for Google when you are requesting access to the Drive. Once you are signed up and signed in you will see the below image on the page. This is the requesting permissions page. 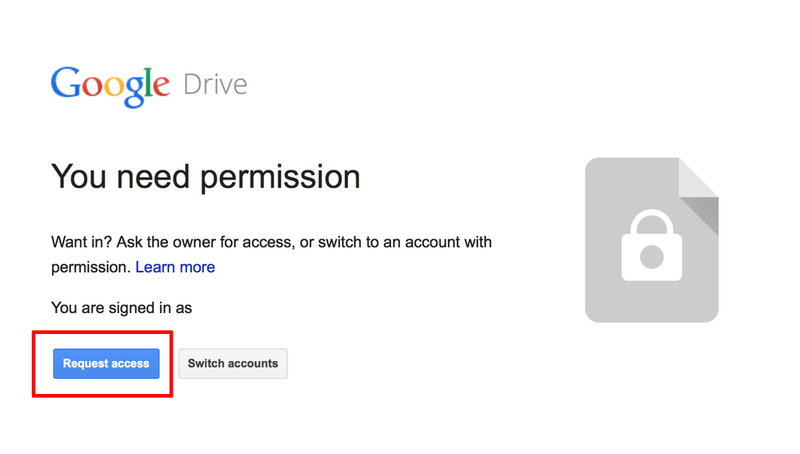 Once you have requested access to the drive we will be able to grant permissions to your account with your newly generated or current gmail address. Once you have your Google Account set up, you will be given this window. Now that we have set up your Google Account and have access to the Steele Risk Services system - Click the link below which corresponds to the service we are providing.